Topics for this special midweek "Gleeman and the Geek" episode included Byron Buxton's demotion, Jose Berrios' debut, David Murphy's retirement, Joe Mauer's resurgence, Ervin Santana and Kyle Gibson going on the disabled list, Alex Meyer getting another chance, Kevin Jepsen's grip on the closer role, Miguel Sano's first 100 games, and eating rattlesnake at New Bohemia. Gleeman and The Geek #246: Dead Or Alive? Topics for this week's "Gleeman and the Geek" episode included about the Twins' mortality, Tyler Duffey's spot start, Ron Gardenhire's return to the organization, Miguel Sano coming out of his funk, Byron Buxton drifting toward a demotion, Brian Dozier chasing high heat, dropping John Hicks for nothing, Jose Berrios' timetable, Chris Colabello's suspension, and partying for Prince. Topics for this week's "Gleeman and the Geek" episode included the Twins breaking through with their first wins of the season, Oswaldo Arcia reminding everyone he can hit, Glen Perkins' latest injury, Joe Mauer's great start, Byung Ho Park's huge power, signing David Murphy to a minors deal, hot-hitting Eduardo Nunez, Byron Buxton vs. Eddie Rosario, and John Bonnes refusing not to dance like a maniac. 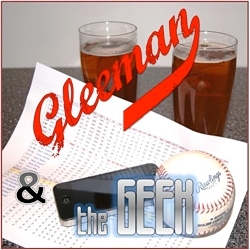 In a special midweek "Gleeman and The Geek" episode we cover the Twins' home opener experience, apply sabermetrics to lifetime beer consumption, and wonder what the team can do to fix itself. Gleeman and The Geek #243: Where’s The Re-Start Button? 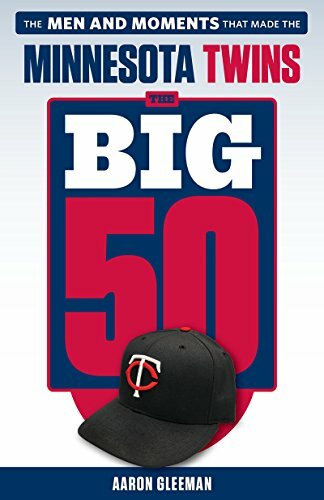 Topics for this week's "Gleeman and the Geek" episode included the Twins' brutal 0-6 start, over-managing Miguel Sano, Joe Mauer quietly having a big week, assessing Byung Ho Park, Danny Santana getting hurt, Paul Molitor tinkering constantly, Ricky Nolasco coming up big, buying a mattress from Casper, Glen Perkins struggling again, and Max Kepler filling in.